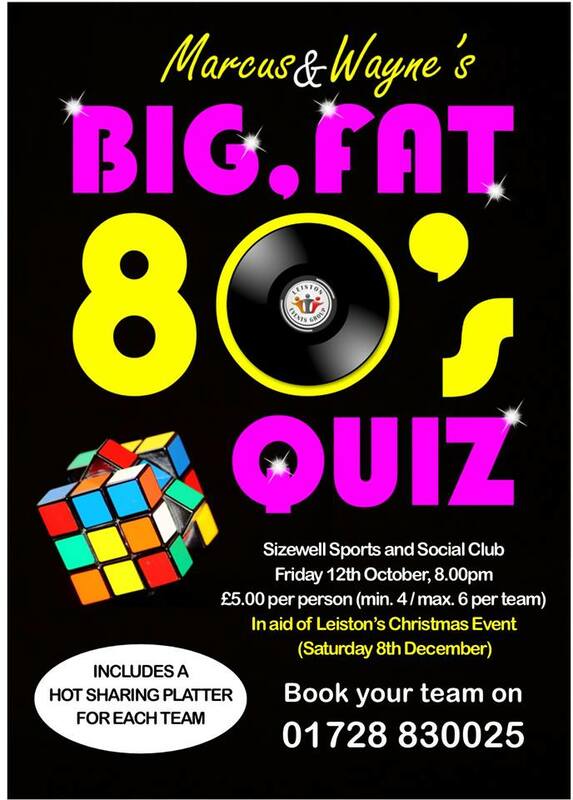 Leiston Big Weekend, Leiston's Christmas Event & More! Marcus & Wayne’s Big Fat 80s Quiz! Book early to reserve a table for Marcus and Wayne’s Big Fat 80s Quiz! £5 per person 4-6 people per table. A Huge Thank You to Leiston on Ice Sponsors! Casino & Cocktail night is here!